Theme Day – “Gratitude” Volunteers Needed! NEW INITIATIVE!!! If you’d like to sign up online, rather than print-the-form-and-send-it-in – you can do that here! 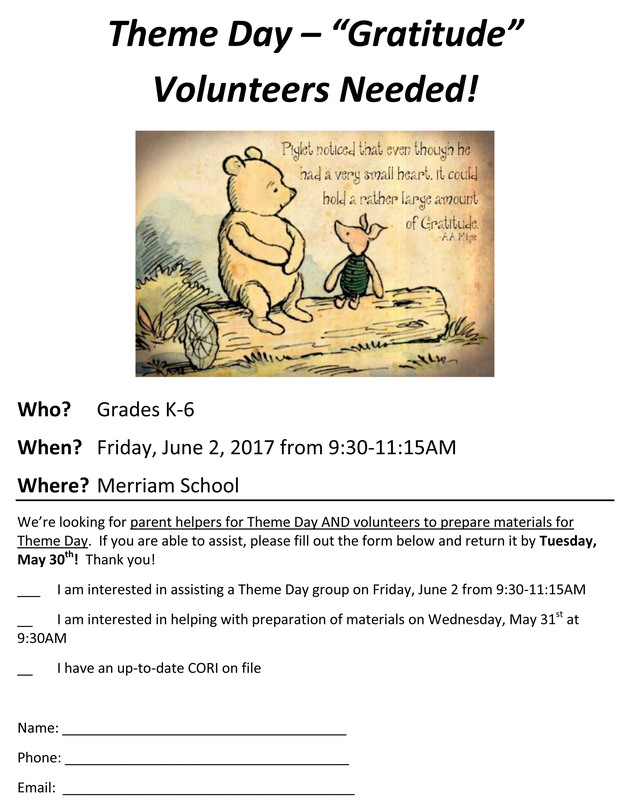 Volunteers needed for Theme Day AND to prepare materials in advance FOR Theme Day – If you are able to assist, please fill out the form (download here!) and return by Tuesday , May 30th! School Pictures Day Coordinator – Help Wanted! This is it! – Congratulations, 6th grade Graduands!! Incoming Kindergarten Playdate Co Coordinator – Help Needed!